Copyright: each Entrant is deemed to grant the FEI and Reuters the irrevocable, perpetual, worldwide non-exclusive license to reproduce, distribute, display, and create derivative works of the entry (along with a name credit) on any media both print and digital in connection with the Competition. An overall winner ‘FEI Photographer of the Year’ will be selected from all of the category winners – they will be flown to the Alltech FEI World Equestrian Games™ in Normandy, France in August/Sept 2014 for a Photo Master class with a top Action Images/Reuters Photographer and a photographic commission at one of the events. 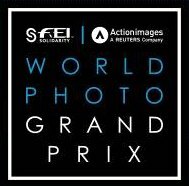 Online submission of digital photographs via the website. You can enter one photo per category.